Two shades I am OBSESSING over at the current junction are "Oranges" and "Lavenders" ( or Lilac whichever way you want to categorize it.) . 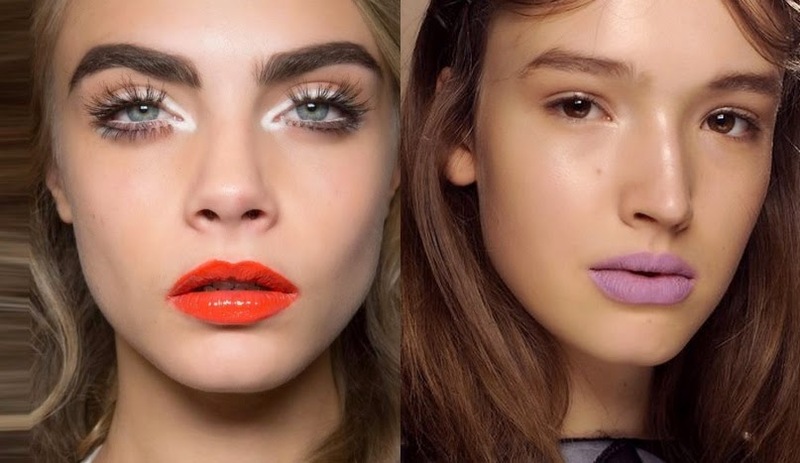 From Mattes to Stains to Glossy Glosses I can NOT get enough. I love that these two shades are completely Universal ( see the photos above for yourself) , everyone can partake in the fun - the key is just knowing which shade under the spectrum compliments you. Never let anyone tell you that you can not wear a specific color because your skin tone is too light or too dark. Makeup is supposed to be fun , care free and explored without boundaries and possibilities. With that said, I've put together a few shades ( some Matte, Stain, Gloss , priced from high to low ) that will get you on trend for the Fall /Winter. Enjoy !! When I first tested these babies out at Sephora I was like "OMG I did not know Too Faced was . bringing it like this!!!" 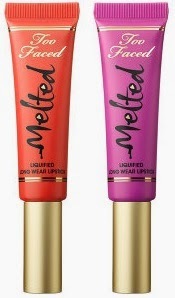 Too Faced has really out did themselves with the Melted line. 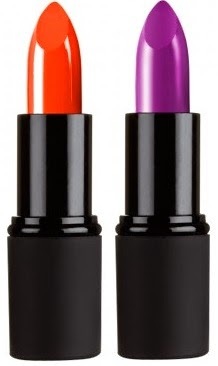 I can not say anything about these lipsticks but that you MUST get them ! They dry with a matte like finish and are super pigmented and last for hours.. Truly a dream to wear. Luxe Luxe Luxe ... Is what these lipsticks should have been called. The packaging feels like a piece of art in your handbag, the Matte texture is not like any other Matte lipsticks I own. Kat Von D really did reformulate these lipsticks and made them better than ever. "A Go Go" looks AMAZING on my dark skin , and women of lighter tones, its a fabulous shade or Orange that I think every woman should have. "Coven" is currently sold out online at Sephora and most locations - so that just speaks for itself. 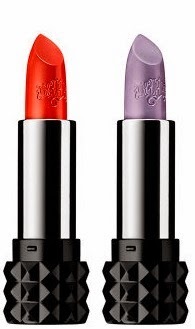 These Lipsticks give a Matte Finish , but are non-drying Exxxagerate is not quite Lavender a bit deeper but its such a lovely shade. I really love the quality of Sleek Makeup over all, its proves that you don't always have to spend a lot to get luxury. I am very excited about the launch of these L.A. Girl colors. 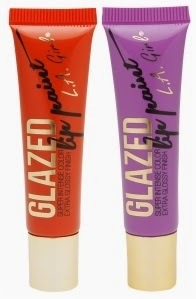 They are super pigmented and are the perfect dupe to the Too Faced Melted Lipsticks, but honestly these are so fabulous they can stand alone. At the price you can't do anything but not indulge in a few of the shades!